Many homeowners go through periods of financial difficulty, usually through no fault of their own. Unexpected issues like illnesses, injuries, the loss of a job, an economic downturn, or poorly performing investments can all suddenly make it difficult to keep up with your financial obligations. If you’re a homeowner who is facing foreclosure, it may seem like a hopeless situation. If you just don’t have the money to get caught up, what alternatives do you have? Fortunately, for some homeowners, Chapter 13 bankruptcy may be able to help you keep your home and pay off your past-due mortgage payments over the course of several years. To understand how Chapter 13 can save your home from foreclosure, it is helpful to understand how it works generally. In a Chapter 13 bankruptcy, a debtor enters into a court-approved payment plan in order to pay back his or her creditors. The amount of the payments depends on a variety of factors, including the debtor’s income, debts, and “allowable expenses.” Chapter 13 is best for people who earn a steady income, as it requires debtors to make monthly payments for a period of three to five years. At the conclusion of the bankruptcy, the court typically discharges the debtor’s remaining debts (provided that they are dischargeable debts). If you’ve fallen behind on your mortgage is that you include your arrears (the amount that you are behind) in your bankruptcy. 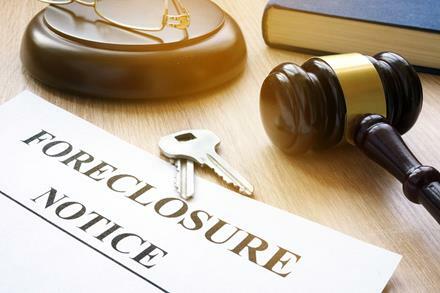 In addition, once your file for bankruptcy, you are protected from any collection activity (including foreclosure) while your case is pending by the automatic stay. In this way, you can stop a pending foreclosure action and reorganize the amount you owe to your lender into your bankruptcy payment. This will give you three to five years to pay the past-due amount. It’s important to understand that you will need to stay current on your mortgage payments moving forward in order to continue to avoid foreclosure. Hopefully, the Chapter 13 repayment plan will relieve enough financial pressure that you can make your mortgage payments moving forward. If you think you’ll still have difficulty making your mortgage payments even while you are in Chapter 13 bankruptcy, the time during which your bankruptcy is pending is a great time to approach your lender about a loan modification. In many cases, a loan modification can help homeowners stay in their homes while lowering their monthly payments. If you’re considering applying for a loan modification, you should speak to an attorney about your options, as loan modification procedures are state and federal law. If you are behind on your mortgage payments or having other financial difficulties, Chapter 13 bankruptcy may be able to help. 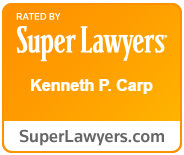 To schedule a free consultation with attorney Kenneth P. Carp, call our office today at (636) 947-3600 or send us an email through our online contact form.